The Institut du Monde Arabe is walking distance from the hotel des Grands Hommes in approx 10 minutes. In the heart of the 5th district of Paris, right near the Seine and the natural sciences university known as Jussieu, lies a cultural institution that is not often visited by tourists. 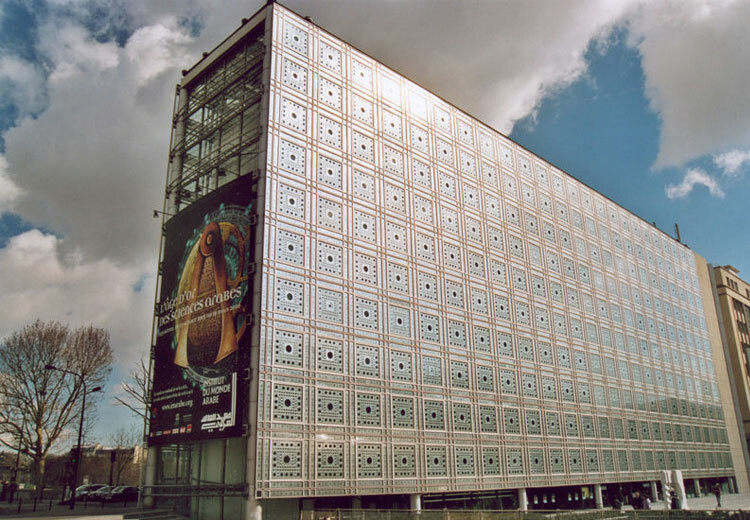 The institution is called the Institut du Monde Arabe, or the Arab World Institute. Constructed during the 1980s, this cultural space is at once noticeable thanks to its interesting architecture and design elements. One of the most striking features of the building is the large glass facade that greets those who enter. This facade is so remarkable because within it are 240 apertures that react to light exposure from the sun, closing and opening themselves as necessary, depending on how much sunlight hits the building. Within the walls of the Institut du Monde Arabe, visitors will find a variety of artistic and cultural exhibitions. In addition to the permanent collection that spreads out over three floors, a number of temporary exhibits allow the institute to constantly offer new and different discoveries to its Parisian audience. From ancient artifacts to contemporary art to photography, the subjects of these exhibitions provide a glimpse into the various aspects of the Arab world. A trip to the Institut du Monde Arabe can be completed with a visit to its rooftop cafÃ© and restaurant. This restaurant provides regional specialities for lunch, dinner or just an afternoon mint tea and also offers a magnificent panoramic view that must be seen to be believed. This makes the Institut du Monde Arabe a rare gem in a city with so many breathtaking views to offer.